With a little over three weeks to go until Christmas Day, you'd be forgiven for believing that the best deals and discounts are behind us. But you'd be wrong. Argos has unleashed a stellar new Nintendo Switch bundle which includes a free copy of Mario Kart 8 Deluxe, and a free £10 voucher to spend on anything in-store or online at Argos.co.uk. That could work out at a pretty reasonable discount to an extra pair of Joy-Con controllers, new Switch game, or a travel case for the console. The latest Switch bundle clocks in at the same price as the console alone typically retails for – making this is a sure-fire win if you're in the market for a new console. 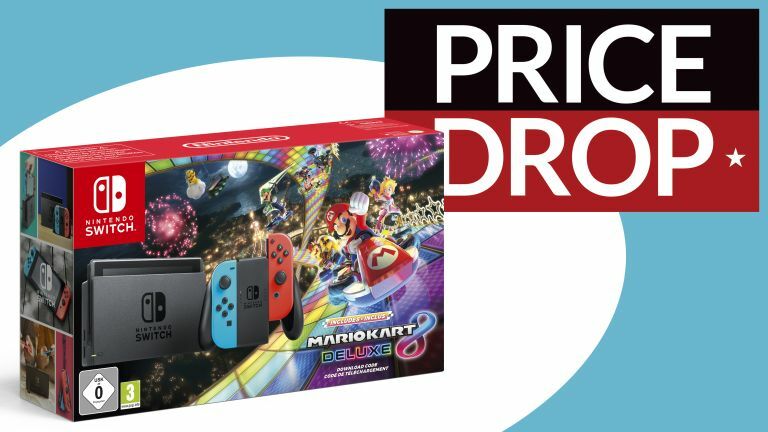 Although a number of other popular retailers have dropped the price of the Nintendo Switch and Mario Kart 8 Deluxe – including Amazon and Currys, the extra £10 voucher is exclusive to Argos. If you're new to the Nintendo Switch, you can't go wrong with this stellar new bundle from Argos. Mario Kart 8 Deluxe is easily one of the best games available on the platform at the moment, and to see it bundled for free with the console is a real win. Elsewhere, there's a free £10 voucher up for grabs to spend on extra controllers, a travelcase for your shiny new toy, or a second game to play with family and friends this Christmas. Genius. The free voucher is part of a site-wide scheme that runs from Wednesday November 28 until Tuesday December 4 and offers a free £5 voucher when you spend more than £50, and £10 voucher when you spend more than £100 in a single order from the retailer. The Argos shopping vouchers can be redeemed on any purchase made from Argos between now and Tuesday January 1, 2019. So, there isn't much time left to snag this extra bonus. If you've been thinking about adding a Nintendo Switch with Mario Kart 8 Deluxe to your basket recently, there has never been a better time to bag the hybrid console. If you're not a fan of cartoon characters racing around gravity-defying tracks throwing banana skins and shells at one another, there are plenty of other deals and bundles on the Nintendo Switch available at the moment.